1936. 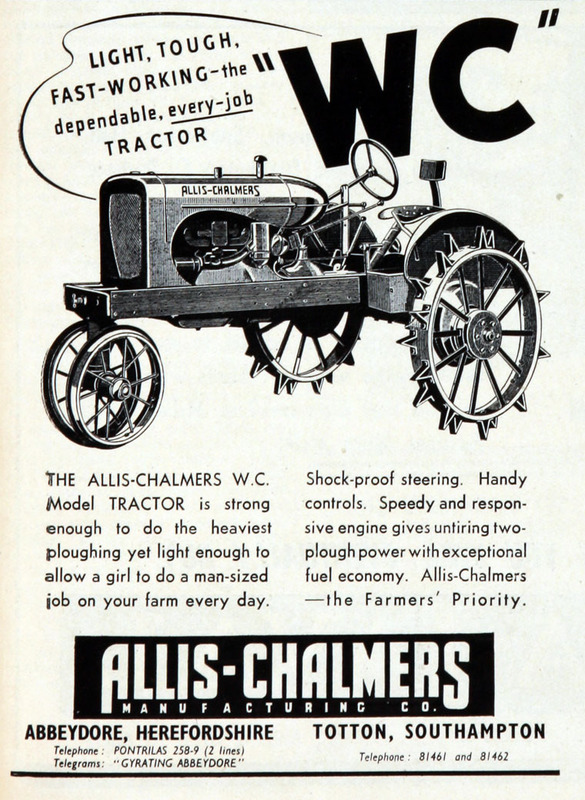 Allis Chalmers WC. Reg No: JE 4572. 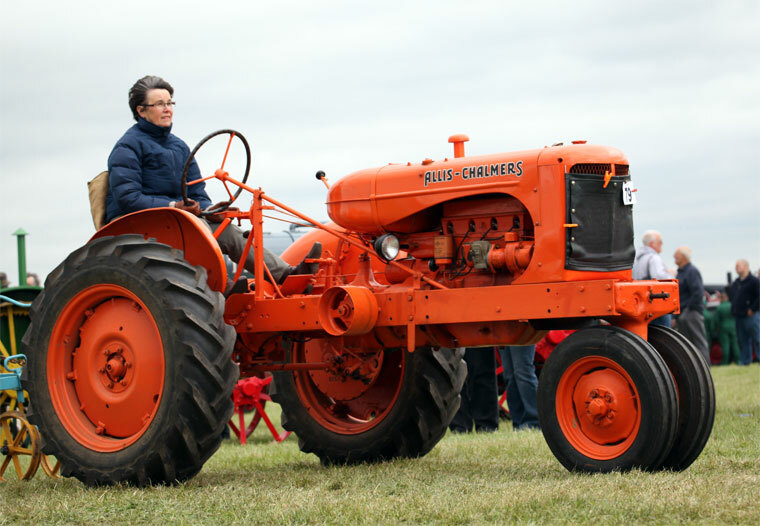 The Model WC was a row crop tractor made by Allis-Chalmers from 1933 to 1948. Until 1938, the WC had a smaller radiator and tires. 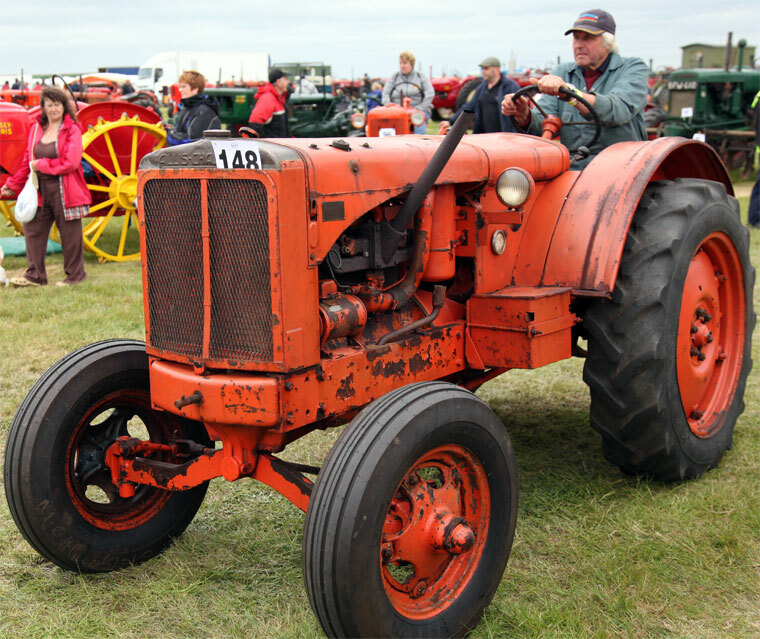 It was also the first tractor tested with rubber tires in the Nebraska tests. 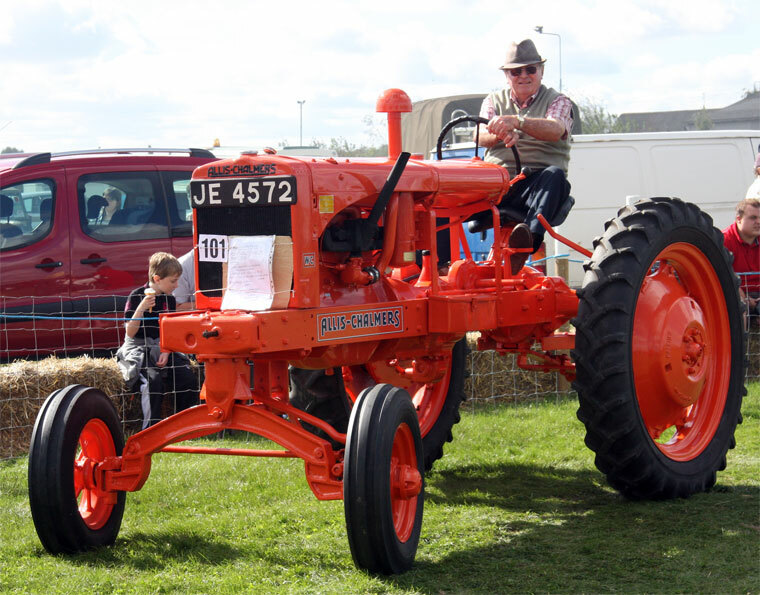 The WC has a 4 cylinder, 201 cubic inch 4" bore x 4" stroke engine and was tested at 22 drawbar and 30 belt horsepower. The WC was popular in the Great Depression; it was made partially from already existing components and would pull a two bottom plow. Also, its steel channel iron frame eliminated the need for heavy castings as in the Model U and Model UC. With its minimalistic design and price and on rubber tires, about 178,000 were made from 1934 to 1948. This page was last edited on 18 September 2014, at 13:37.